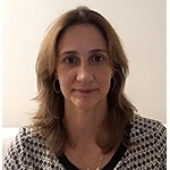 Eliana C. Ferretti, PhD, is an Assistant Professor in the Department of Science of Human Movement and Coordinator of the Assistive Technology Research Center at the Federal University of São Paulo (UNIFESP), Baixada Santista Campus. Dr. Ferretti received her Master degree and PhD degree in Rehabilitation Science from the University of Pittsburgh, in 2003 and 2007 respectively. Dr. Ferretti bachelor's degrees are in Occupational Therapy from Federal University of São Carlos (UFSCAR) in 1995. Dr. Ferretti’s research interests are in the areas of assistive technology focus on wheelchair client satisfaction and developing of assistive products.